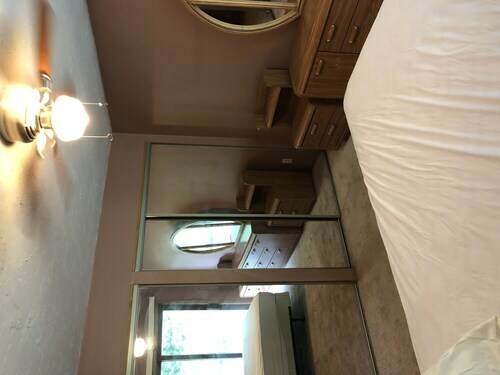 This family-friendly Prior Lake resort is located in a rural location, within 2 mi (3 km) of Meadows Course at Mystic Lake and The Wilds Golf Club. 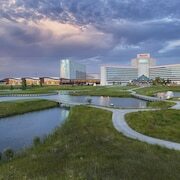 Saint Francis Regional Medical Center and Stonebrooke Golf Club are also within 6 mi (10 km). Situated in Prior Lake, this vacation home is 1.5 mi (2.4 km) from The Wilds Golf Club and 1.9 mi (3 km) from Mystic Lake. 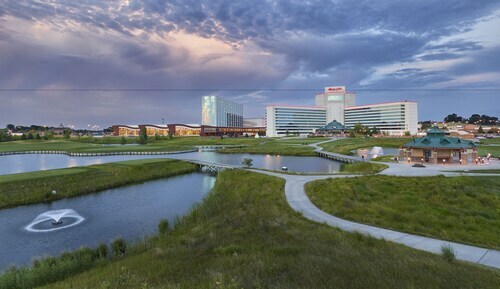 Meadows Course at Mystic Lake is 1.6 mi (2.5 km) away. 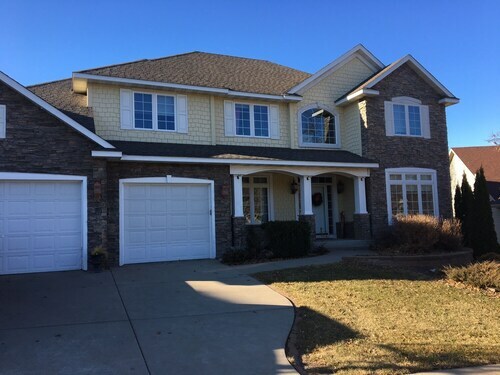 Situated in Prior Lake, this vacation home is 1.6 mi (2.5 km) from The Wilds Golf Club and 2 mi (3.2 km) from Mystic Lake. Meadows Course at Mystic Lake is 1.7 mi (2.7 km) away. Situated in Prior Lake, this property is within 6 mi (10 km) of Meadows Course at Mystic Lake, Mystic Lake, and Murphy-Hanrahan Park Reserve. Canterbury Park and The Wilds Golf Club are also within 9 mi (15 km). How Much is a Hotel Room in Prior Lake? Hotels in Prior Lake start at $218 per night. Prices and availability subject to change. Additional terms may apply. Visitors to Minneapolis - St. Paul who are seeking a place to rest and relax in Prior Lake have many choices. Travelocity presently contains 12 establishments only a short drive from Prior Lake. The Mystic Lake Casino Hotel is nearest to the downtown area of Prior Lake and the sole place to stay located within a quick drive. The Hotel Ivy, a Luxury Collection Hotel, Minneapolis is around 19 miles (30 kilometers) away from central Prior Lake. Another place to stay is the Residence Inn By Marriott Minneapolis Downtown, which is positioned 19 miles (31 kilometers) away. Some other accommodation options worth checking out around Prior Lake include the Loews Minneapolis Hotel along with the The Westin Edina Galleria. St. Paul is 20 miles (35 kilometers) northeast of Prior Lake and features University of St. Thomas and Hamline University. If you'd like to visit St. Paul, check out the The Saint Paul Hotel and Holiday Inn St. Paul Downtown. 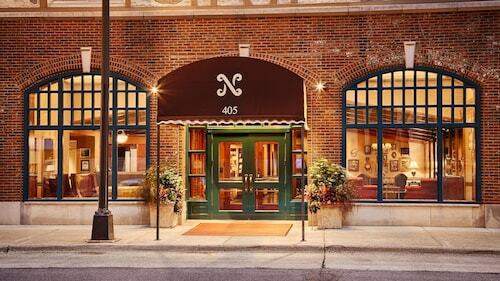 30 miles (46 kilometers) east of Prior Lake, is Hastings, which features the Nichols Inn of Hastings and Val U Stay Inn and Suites. When you stay in Hastings, set aside a little time to check out the Alexis Bailly Vineyard and Carpenter St. Croix Valley Nature Center. Simply because you and your family are on vacation, doesn't have to mean you can't fuel your obsession for stadium sports. Discover Xcel Energy Center 20 miles (36 kilometers) to the northeast of Prior Lake. 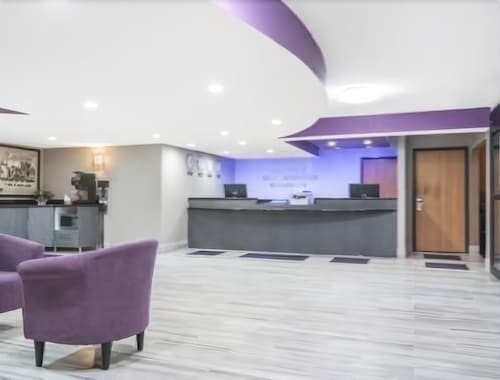 Modern travelers that are keen on finding accommodation close to the game, make a reservation in the Embassy Suites - St. Paul or InterContinental Saint Paul Riverfront. Located 16 miles (25 kilometers) from central Prior Lake is Minneapolis - St. Paul International Airport. Find nearby rooms at Radisson Blu Mall of America or Embassy Suites by Hilton Minneapolis Airport.